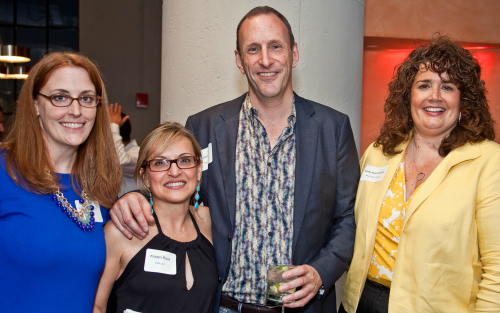 On June 4th 2013 over 130 Designers, Architects and Contractors from Boston came together to raise money for the One Fund Boston to benefit the Boston Marathon Bombing Victims. 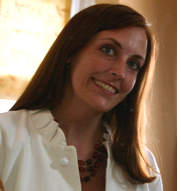 "Design Boston Strong" came about through a conversation I had with local designer Kristen Rivoli. With all of our creative skills we needed to find a way to help the people who were hurt in the bombings. We knew "the way they lived in their home Monday April 15th would not be the way they returned to their homes". 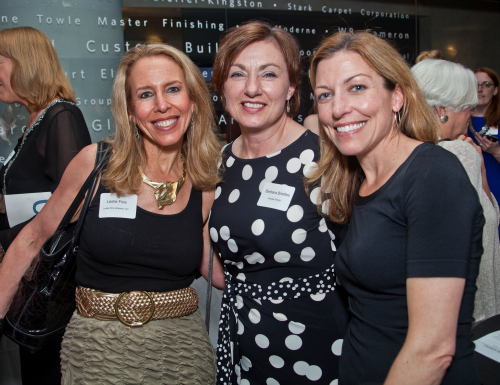 In a mere 3 weeks we gathered donors for a live and silent auction, found amazing sponsors and planned the DBS event. We were overwhelmed by the people who were ready to jump in and help! 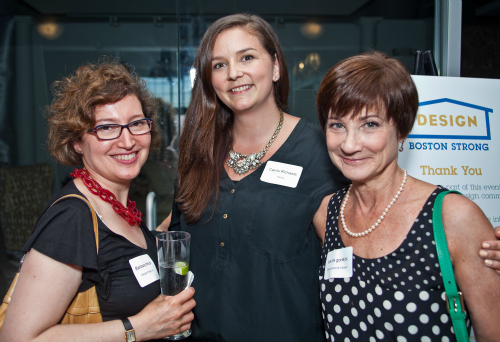 During the event attendees had the unique opportunity to make a direct and positive impact by pledging their time and expertise to help victims who sustained significant injuries during the Marathon Bombings. This will include customizing their living spaces to accommodate any mobility needs. 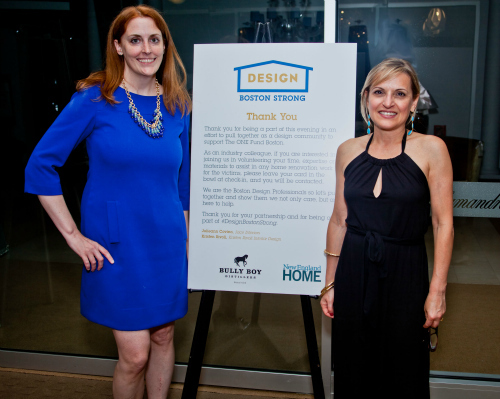 Our list consists of over 100 interior designers, architects, lighting experts and contractors who are ready to make a positive difference in the victims lives and homes! If you know someone who needs helps please contact me at Julieann @ Jaceinteriors.com. 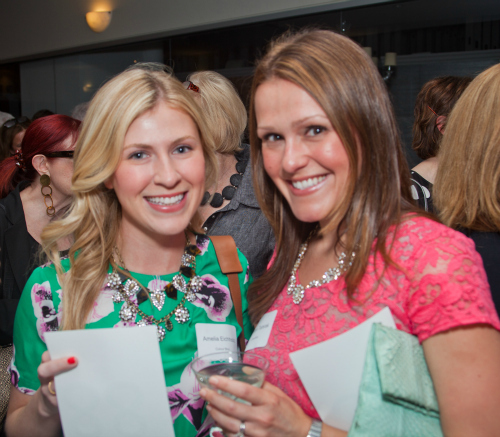 Thank you to our incredible sponsors for the night: New England Home Magazine, Romo Fabrics, East Meets West Catering and Poise Boston. Also thank you to Ben Whitla for our beautiful logo and Todd Lee for his photography of the night. 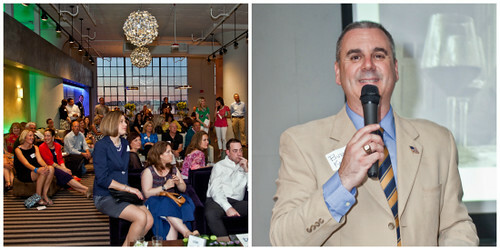 We were lucky to have the fantastic Bud Kelley as our auctioneer for the night in the gorgeous Club 342 at the Boston Design Center. Between tickets and auction items we raised over $26,000 with 100% of the proceeds going directly to the ONE Fund Boston. 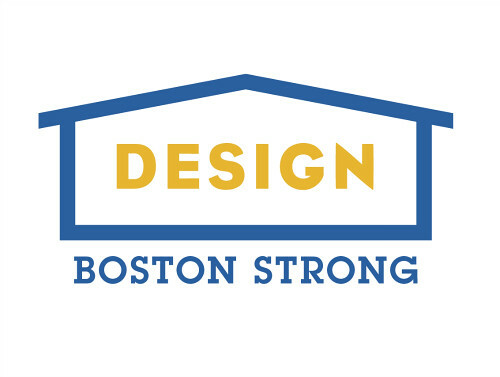 Thank you to all who came out and made "Design Boston Strong" a reality, your efforts and attendance will certainly make a difference in another person's life. We are Boston Strong! It was such a fun night, you are seriously amazing for getting all of those people in the same room raising money for a great cause!! Thanks so much for coming out and for all the tweets, we appreciate the support! Plus it was nice to catch up with you Lindsay! Great event going to an even better cause!